The content from a couple of these speakers, we noticed resonated in many ways to the Salesforce industry, which is so strongly built on the foundation of collaboration, sharing, self-learning, adding value to ensure the success of others, and personal branding. Always be a student. 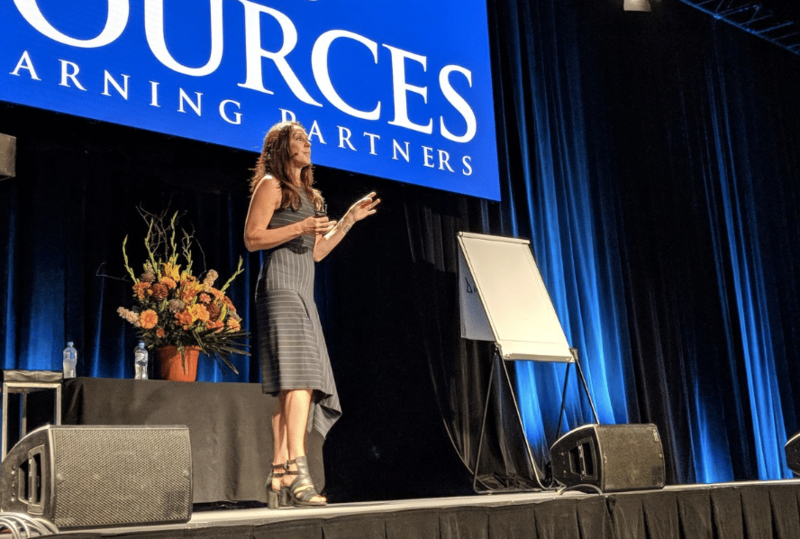 Self education will get you success, Janine Allis explained and this couldn’t be more true than if you consider Trailhead, the Salesforce certifications available, and the fact that there are regular releases throughout the year. Salesforce allows you to continually develop and grow, and even if you manage to achieve the Mount Everest of achievements of the elusive Certified Technical Architect, there is still more to learn. It’s one of the most beautiful things about the platform. Build a personal brand. It’s not about promotion, it’s about you and your contribution to the online conversation. Share what you’re passionate about, your work, your perspective, Gary Vaynerchuck encourages. We often advise people particularly when they are starting out in a Salesforce career, perhaps from a different software or career background to develop a voice in the digital world, attend Salesforce events, meet people. Don’t be shy, and don’t feel that you aren’t experienced enough to contribute, your perspective is valuable, and you will accelerate the opportunities that appear in front of you if you push yourself out of your comfort zone and let people get to know you. Collaboration increases success. Deb Farnsworth-Wood explained, and Gary Vaynerchuck went on to elaborate a message that Marc Benioff often raises, that we’re in the midst of the Fourth Revolution. Gary points out that the era of strategic partnership has begun, and this the way in which some of the world’s most successful businesses ever have built their empires. He gives examples of Apple with the App Store, Amazon with their distributors, but Salesforce also does this well with the App Exchange. The Salesforce community is built on collaboration, with every community event now centred around sharing, the Idea Exchange, #askforce, and Dreamforce being made up of sessions given by members just as much as Salesforce employees do themselves. Passion, patience and perspective. This one from Gary Vaynerchuck can be applied to any industry or career, but we particularly like that sometimes passion makes patience a challenge. Patience to land that first Salesforce role, patience to perhaps not pass that cert the first time, or get stuck on that development issue. However, with consistent effort, you’ll hit that milestone before you know it, and it’ll be that much more rewarding. Accountability is what leads to happiness, not money. Again and again, we hear how Salesforce professionals are driven by the opportunity to learn more and get involved in interesting projects. In fact, our annual Salesforce Talent survey echoed this for professionals in the industry in Australia and New Zealand. Gary Vaynerchuck gave the example of the joy he personally felt when bargain hunting at his local garage sales. An insignificant amount of money made or saved, yet an immense feeling of satisfaction. It makes work life that much more meaningful. The seven most expensive words in business. “We have always done it that way”. Janine Allis’s words resonate in a Salesforce world where we strive to innovate, and continually evolve to improve user experience, efficiency and service our customers more powerfully. We’re sure any Salesforce professional who has been in requirements gathering sessions will feel the sentiment of her words here. The magic happens on the edges, not the middle. In a personal branding sense, Gary Vaynerchuck understands how liberating it is to be authentically you, and how we can feel empowered by being different, and that’s when meaningful connections can flourish, and inspiration can take shape. Seek out new people that are hungry to grow. All of the speakers echoed this in one way or another, be it in your personal or your professional relationships. It’s said that you’re influenced by the five people that you spend the most time with, and likewise if you can surround yourself with people who motivate you to grow, that can only have a positive impact. The Salesforce community feels electric when so many hungry Trailblazers get together, and we thoroughly recommend that you get involved with as many get-togethers as you can to feel that energy. Trailhead Tuesdays are a great example, and when we talk to those who come along, the energy of the rest of the group coming together is motivating. There is always a solution. Janine Allis is sure of it, and this is where tenacity kicks in. Many people thrive on finding a solution, and in the Salesforce world, there are so many places you can go to assist you, such as #askforce or the Stack Exchange. A curious mind, and persistent nature are common traits of Salesforce professionals, as well as a genuine willingness to assist others to find a solution to their own question. Create value in your content. There’s so much that we can learn from one another within the community, that this tip from Gary Vaynerchuck made us think of all of the tweeting, the sharing and the engaging content, articles, videos that the community is crafting every day, with audience in mind. The Salesforce community is so great at posting updates which others love to see and engage with.